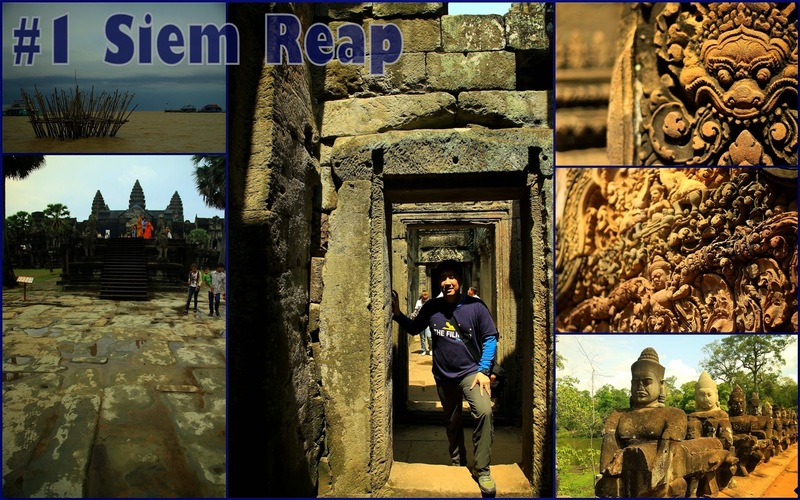 My top choice for 2014 is Siem Reap with the amazing temples of Angkor. It is easy to fall in love with Seam Reap because it offers a laid back vibe coupled with a surprising exploration and adventure. Angkor Wat, Angkor Tom, Banteay Srei... and list of temples go on. And after impossibly exploring its temples, Siem Reap remains to be a little charmer with old French shop-houses, shady tree-lined boulevards and a slow-flowing river. 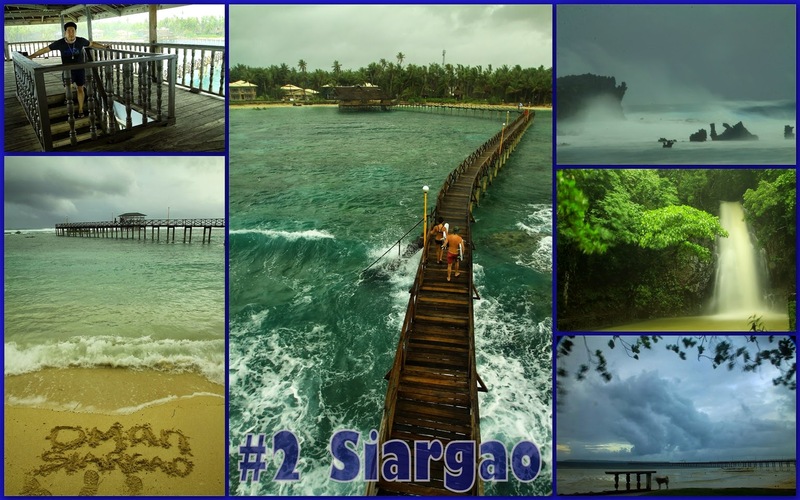 Typhoon Senyang decided to join me in my year-end itinerary and our first stop is Siargao. 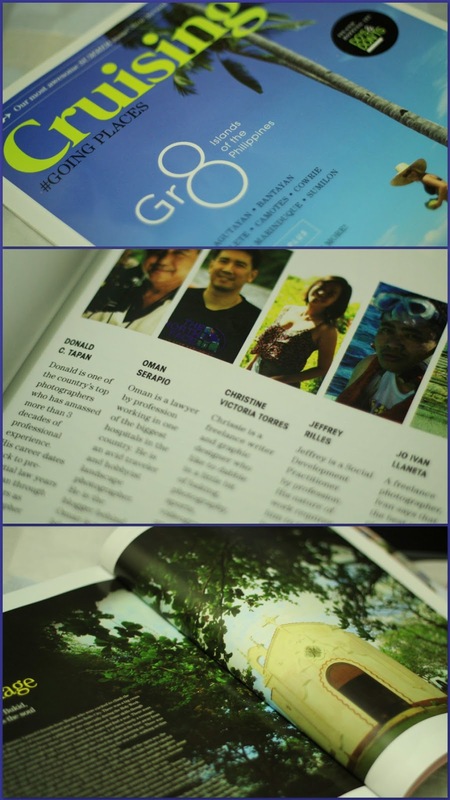 Although it is known internationally for surfing because of its massive waves, Siargao also has more to offer such as the calm view of its white beach in the Boulevard to the view of its rough wave in the Tower of Cloud 9. It also has a decent-enough Waterfalls and several coves showcasing a mixture of white sand and rough rocks that is awesome for photography. This bucolic little town south of Cebu is popular for its diving spot where its rows of colorful corals and schools of fishes are its top draw. 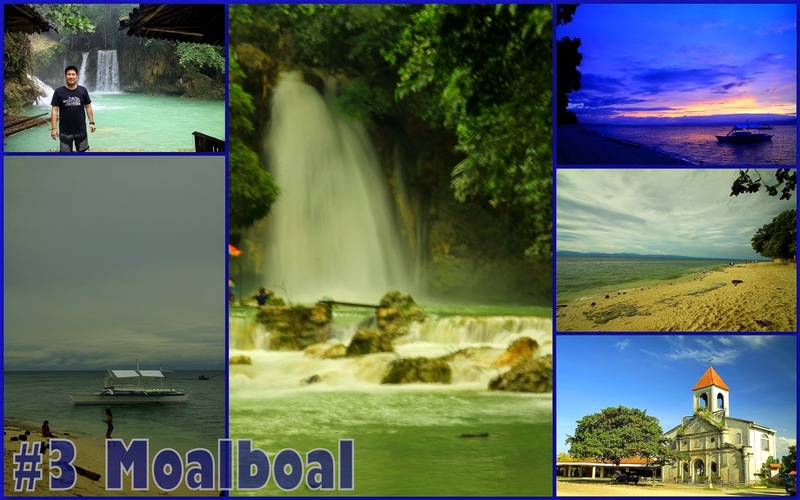 But other than diving, Moalboal is perfect for beach lovers because of its fine white sand and shallow shores. 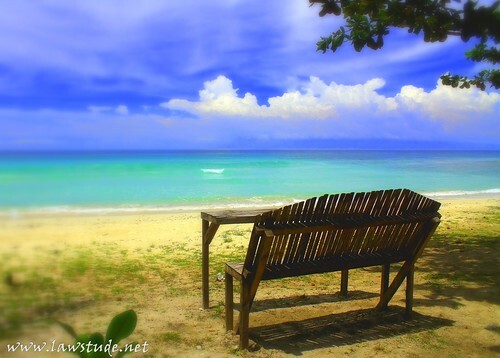 Panagsama Beach is where most divers stay and it is in White Beach where most beach bums are. Also, the latter provides one of the best spots to watch the sunset. Just less than an hour's away is the multi-tiered Kawasan Falls where one can swim and be massaged by the current of the falls. They say the heat is on in Saigon and I couldn't disagree more. 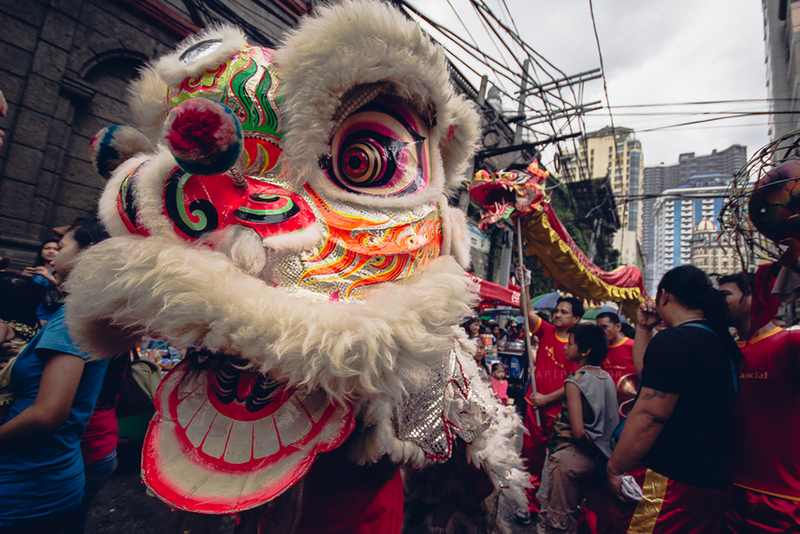 This vibrant city has risen from the effects of the second World War to become one of the fastest emerging cities of Asia. It's development comes hand in hand with it's past so you will see here modern structures besides century-old heritage sites and well-preserved remnants of war. 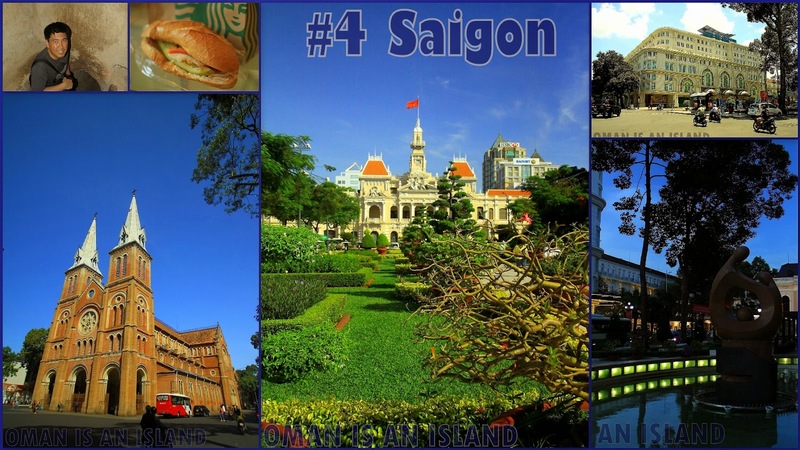 Wandering around Saigon is like exploring two worlds in one. I spent my first day of 2014 in Batanes and I consider that day one of the best New Year Day of my traveling life. 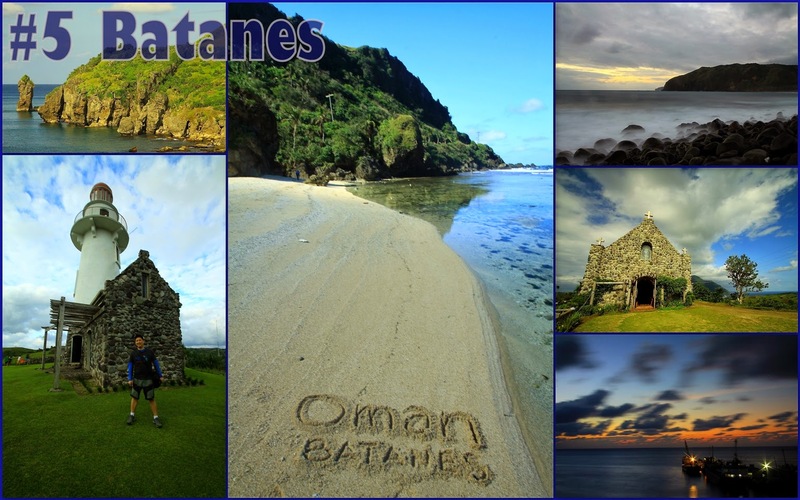 Every travel to Batanes could easily be the top choice because its sweeping view is second to none and its every nook and cranny is picture-perfect. It is a photographer's paradise where any shot of its landscape could prove to be his best shot. It was my #1 last year and definitely still among the top of my list this year. 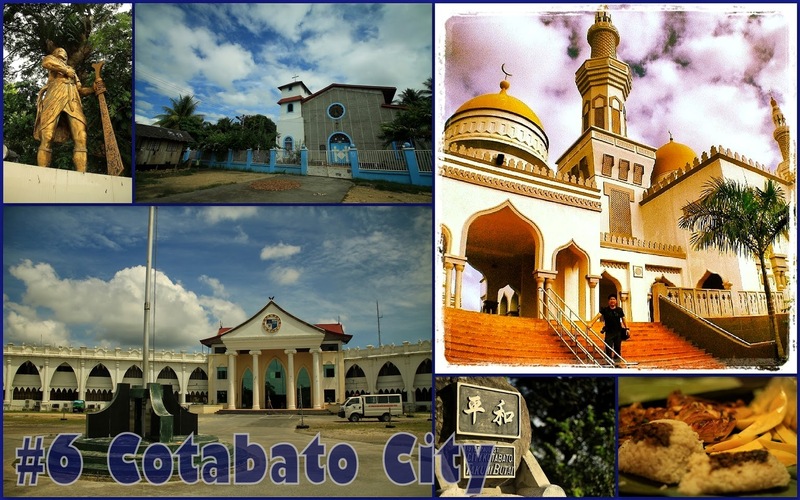 The main draw of Cotabato City is its Grand Mosque also known as Sultan Hadji Hassanal Bolkia Masjid who funded its construction. To date, it is the biggest and grandest mosque in the Philippines. Apart from it, other places to visit here are the old and new City Hall where Muslim architectures are present, the Kuta Wato Caves and some historical monuments such as Lapu-lapu and Takumi Butai. Also worth tasting are some of its native delicacies such as Beef Sinina and Pastil. 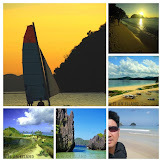 2014 gave me the opportunity to revisit Calaguas Island. Because it has become to be popular, the place now no longer exude the i am lost in an island-paradise feel. 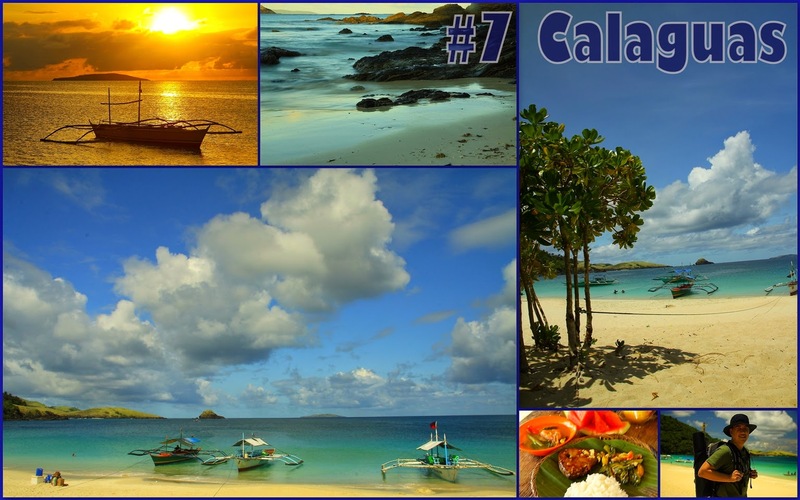 Undoubtedly, a lot has changed but what remains is that I still consider the place ideal to visit and to camp overnight because Calaguas Island’s Mahabang Buhangin is still one of the best place to relax and unwind… to just sit on the sand … to swim in the crystal-clear water …explore the island … watch the sunset… bond with your friends during a bonfire night …and you will absolutely appreciate the place -even with hundreds of people or not. 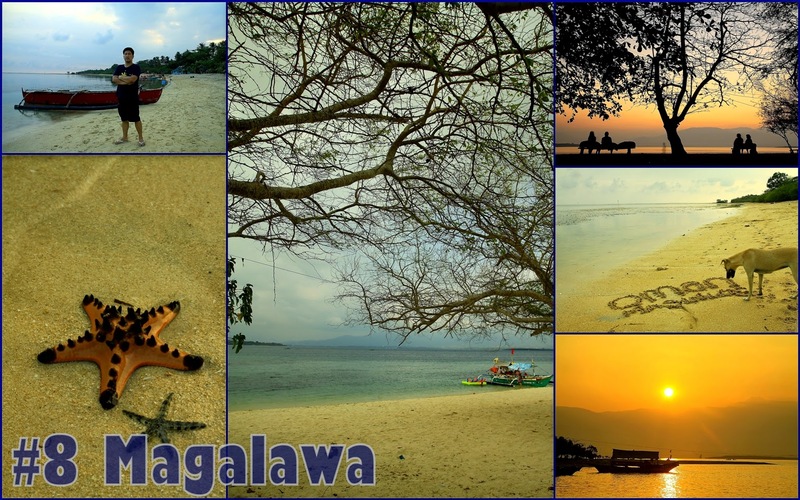 Isla Magalawa is a good weekend getaway. We were half-expecting a back-to-basics experience only to found out that there are basic accommodations in the area such as canteen, store, rooms and others. 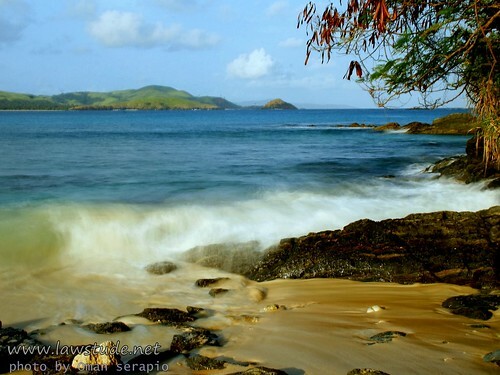 However, the seascape provide good opportunity to take memorable photographs specially the sandbar on the western end and the mangrove on the eastern side of the island. But what I love most about the place is that you cab chillax all you want under the shades of trees and watch the branches of these trees silhouette in your photos as you wait for a beautiful sunrise. 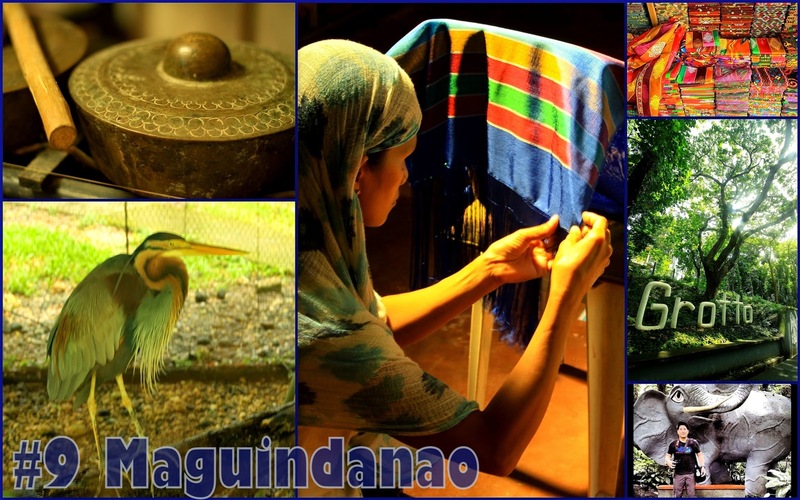 Inaul weaving is very much alive in Maguindanao and most travelers flock to this quaint little shop in Datu Odin Sinsuat to see the natives weave threads and turn it into a colorful fabric. 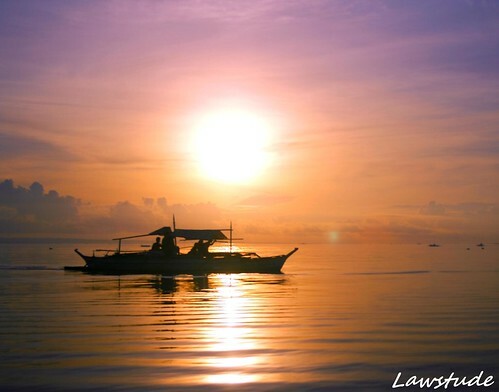 Although Maguindanao has always been in the news for violence, still, the province offers some of the best spots such as beaches and countryside scenery. Just go here with caution. 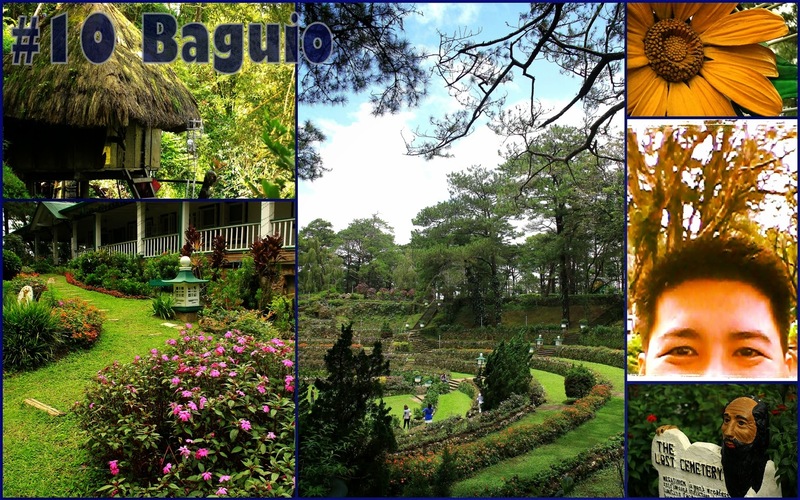 The Summer Capital of the Philippines remained to be one of the country's top tourist draw. And why not? The weather here is just so condusive to do nothing but to curl-up on your bed. Although Session Road could be congested, it still has that appeal for dining, roaming around Burnham Park and scavenging through great Ukay-ukay finds. But if you want some place more relaxing and quiet, go to the vicinity Camp John Hay where the air is so fresh and the cool breeze with soothe your weary body and soul. What a wonderful year you have had, Oman!! Superb captures and they are the next best thing to being there myself!! 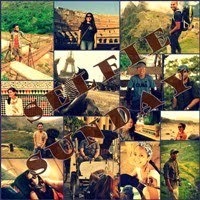 Thank you so much for sharing the fun, the adventure and the beauty!! Hope the current will be just as wonderful and exciting!! Hi Sylvia. I thank you for always visiting my blog in 2014 although I find myself guilty of not doing the same but I do try as much as I can with my heavy work load. 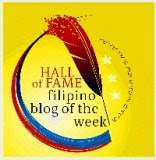 Your comments keep me blogging for years :) Thanks You! I can only imagine the trips that didn't make it to the top 10. What a great year it was. Here's hoping 2015 is better in all aspects. This is a great list. More travels this year Atty. It's just me but Batanes should be higher. Agree but a travel is a personal matter too Vanessa. These are all great places and each exudes a different charm. My favorites here are No 5 and No 1. Ang galing naman ng mga travels. 5 out of 10 ako sa list kaya ok na. You can complete the 10 Kiko. Ano pa kulang? Woohoo to #2 and #3. I will go there soon.